WOW....where did November go? I can't believe that a new month is beginning and with that comes a new stamp of the month blog hop. This month we are showcasing "Amore" a set of 13 stamps. 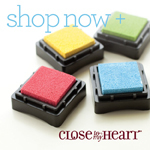 If you are coming from Jill's blog, you are on the right track. It's okay if you are starting here; just be sure to complete the circle so you don't miss any of the wonderful projects my fellow consultants have created. This month I made a 6 x 6 card featuring the "Magnifique" paper pack. I love the combination of blues and brown that are in these papers. This is another card I made using this stamp set. 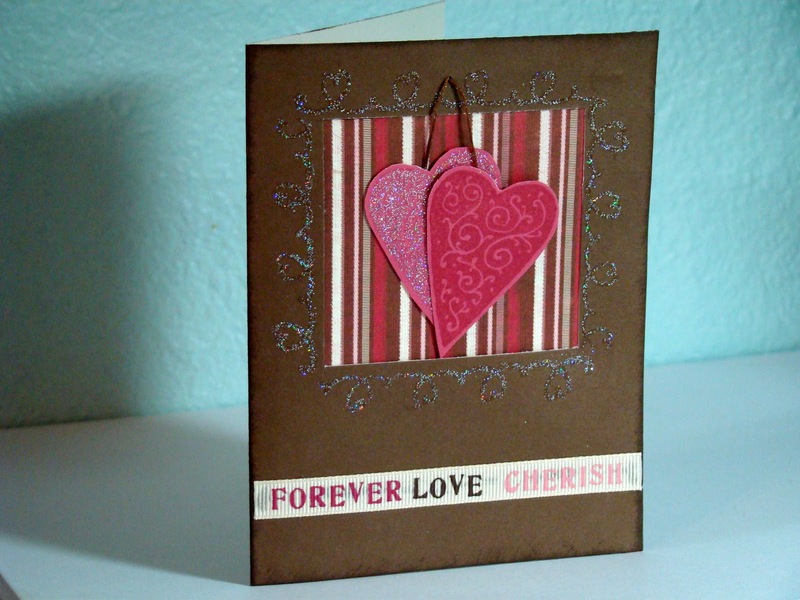 I used some older products for this one, but wanted to show it because I used different stamps from the set. 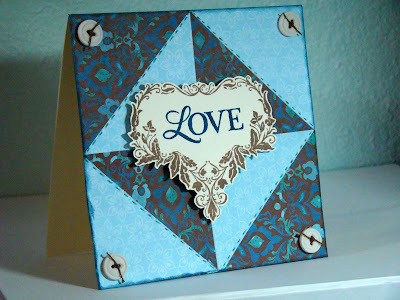 Now hop along to Lori's blog to enjoy more projects featuring this pretty stamp set. Don't forget "Amore" will only be available for the month of December. Contact your consultant or go here to order yours before it's too late. Two very different and both beautiful cards! Love the great cards - the first one is my favorite! Love the pattern on your first card, wow does it pop. Love both of your cards. I really like the sparkle on the second card. Love them both. Amazing what you can do with one stamp set! These cards are gorgeous! 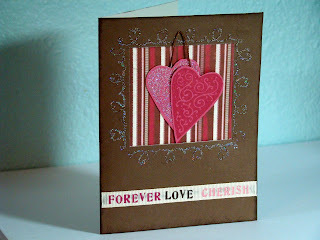 I fell in love with the quilting card and then I saw the That's Amore card! Both are beautiful!! You have such an artistic gift! Thank you for sharing this with all of us - consultants and scrappers alike!